The ACO, the largest automotive group in France, and the organisation behind the iconic Le Mans 24 Hour race, has announced a Forza 7-based esports series boasting a $100,000 prize pool and the backing of F1 champion Fernando Alonso. The first round of the newly-introduced Le Mans esports series took place at the World Endurance Championship at Silverstone in the UK over the weekend. The ACO are partnering with automotive media and tech company Motorsport Network, to bring the series to life. The series launched at Silverstone, but three more qualifying events – in Fuji (Japan), Birmingham (UK), and Sebring, Florida (US) will take place ahead of the Grand Final, which will take place during the Le Mans 24 Hour Race next year. In a video (which you can watch below) president of Motorsport Network James Allen says that the Le Mans esports championship will be “truly accessible.” The company’s Chairman, Zak Brown, says he hopes that esports will become motorsports’ new “grassroots”. As he points out, that’s previously been karting, an expensive hobby that’s not available to everyone. 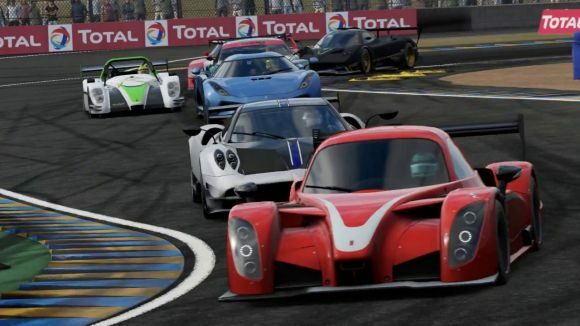 The championship will take place across both online competitions and offline events to take place at races and car shows over the next several months. Registration is live on the official Le Mans esports series website, with qualification open until the end of August. Expect to see more motorsport involvement with esports over the next few years, as the F1 and World Rally Championship governing bodies both look to expand into the realm of virtual racing.